The upcoming release of Drupal 8 is highly anticipated among members of the Drupal and CMS community. 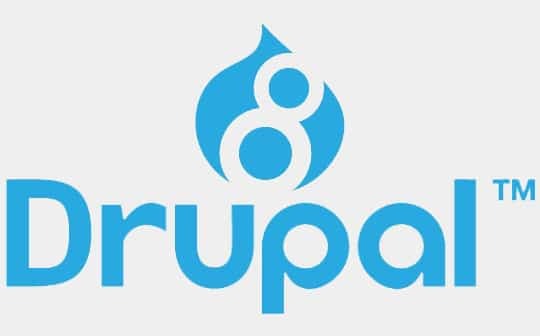 Drupal 8 is packed with more than 200 new enhancements to ensure maximum customization opportunities while building websites. News on the latest developments in Drupal 8 is keenly followed by technology enthusiasts all over the world. What makes Drupal 8 so special? The answer is simple – its predecessor Drupal 7 has created a positive impact on the CMS world by showcasing its potential as an efficient platform. Drupal 7 offers programmers with a world of opportunities as far as customization is concerned. Owners of large websites actively pursued Drupal 7 implementation to create sites that are foolproof and technology-driven. Many governmental agencies around the world have their websites driven by Drupal 7. A famous example is the official website of the White House. Drupal 8 promises to take the entire CMS experience to a whole new level. As a person who has extensively worked with Drupal 8’s BETA version, I strongly feel that this release will set new benchmarks in the CMS world. A primary focus while Drupal 8 was in development was to ensure a mobile-first approach. As a result, Drupal 8 features built-in themes that are highly responsive in nature. All web pages can be viewed on multiple devices ranging from cell phones and desktops to laptops and tablets. While Drupal 7 was powered by XHTML, Drupal 8 has adopted HTML5. This provides the user with a better experience while presenting content over the web. The coding experience will now be more refined and structured, making it easier to read. Drupal 8 core (the basic set of files Drupal’s fresh install comes with) will be powered by Symphony2 components. With this development, Drupal 8 will embrace Object Oriented Programming (OOP) in a big way. This ensures that programmers who are unfamiliar with Drupal but familiar with OOP can easily learn Drupal 8. We live in a multi-cultural world. Websites have a target audience that spans the four corners of the globe. With Drupal 8, you can translate the content featured on your site to the language of your choice. You can also specify if you want a particular page to display content in a different language. In the earlier versions, the Views module easily ranks among the most important ones for Drupal development. You had to install it separately along with CT Tools Suite module. The VDC initiative ensures that Views is installed along with the core as part of a fresh install. Apart from this, working with Views is so much easier in Drupal 8! Configuration data will now be saved in a more consistent and efficient manner. The Configuration Manager module serves as an interface to import/export configuration updates between different Drupal environments. Editing/adding content has become simpler with Drupal 8. Make use of the WYSIWYG editor to format content in real-time. Drupal 8 comes with a PHP-based template engine known as Twig. It is easier to work with and ensures that you can create attractive, fully-functional websites in no time. Drupal 8 can output content as an XML or JSON by serving as an excellent data source. Drupal has implemented Hypertext Application Language (HAL) to extend its in-built web services capabilities. You can easily perform HTTP authentication as well. Drupal 8 has introduced several new field types to enhance the customization experience. You can now create forms by choosing from a variety of fields that meet your specific requirements. Do you own or represent a CMS website that runs on a non-Drupal platform? You might need to consider adopting Drupal 8 to leverage the wealth of customization opportunities it can offer for your site. Let me know your thoughts in the comment box below. This article is written by Neerav Mehta. He is the Founder and CEO of Red Crackle, a Drupal Development company based in the SF Bay Area, California.